Our firm has gained continuous appreciation as the prime organization offering of POLO NX. This lunch box is used for carrying and storing hot food. 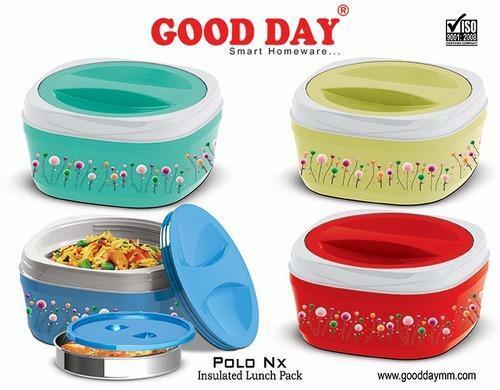 The offered lunch box comes in various shades, colors and capacities. In order to develop such attractive lunch box; our professionals manufacture the lunch box using quality virgin plastic and techniques. Also, clients can provide their specifications for the lunch box. In addition, clients can purchase the lunch box from us at industry leading rates.